After saving the world in “The Secret Service”, Eggsy travel to the US and discovers an allied spy organization called Statesman. In a new adventure that tests their agents’ strength and wits to the limit, the elite secret organizations Kingsman and Statesman band together to defeat a ruthless common enemy, in order to save the world. 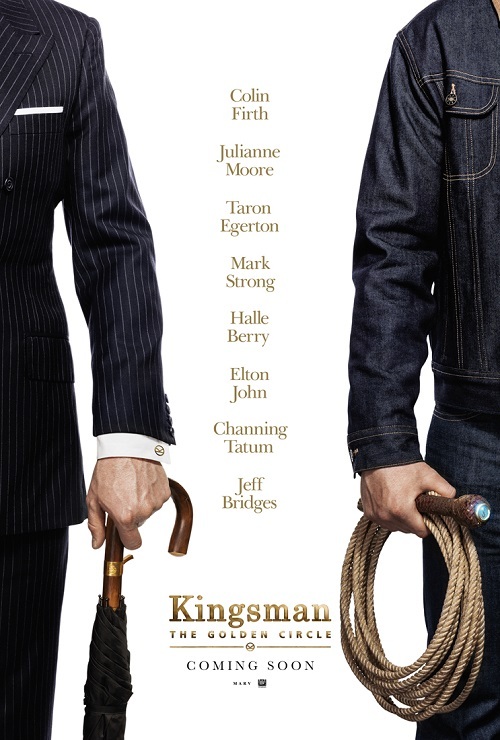 The Kingsman sequel stars Colin Firth, Halle Berry, Jeff Bridges, Julianne Moore, Mark Strong, Taron Egerton and strangely, Channing Tatum. Yep, I still don’t know why he’s there, but hey, my curiosity’s piqued. Can’t wait to see the trailer that was shown at CinemaCon, and of course catch the movie when it opens on September 27!